Stryker, the big medical components and medical tool manufacturer has issued a further recall notice for one of its hip implants: the LFIT V40 femoral head implant. If you have had one of these implants fitted at some point in time, whether you have experienced side effects or not, you should contact your doctor, or the medical center or hospital where the implant was fitted. Stryker is one of the largest U.S. based international medical device corporations with annual revenue of over 17 billion dollars last year (2017). 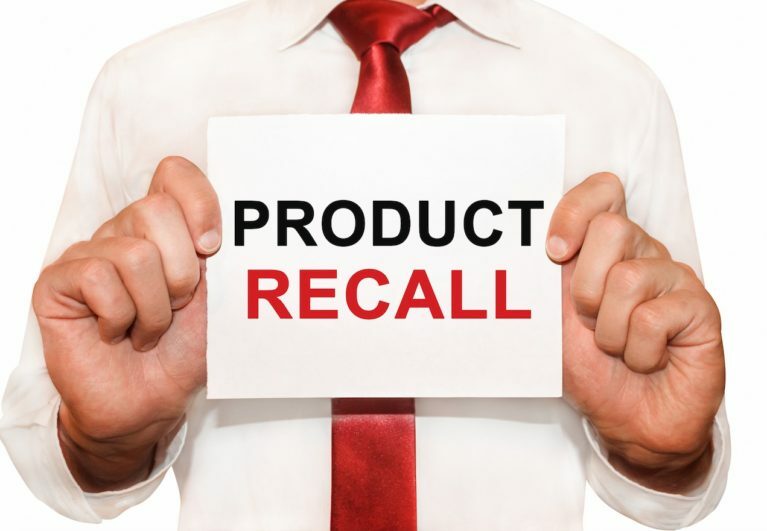 The latest recall is just one of many that have been issued in the last few years for hip or knee components made by Stryker. The latest recall is a continuation of a problem with Stryker’s hip stem/ femoral head metal implants. The femoral head is the part of the thigh bone at its top that fits into a space in the hip and allows movement in nearly all directions. The implant consists of two associated structures: the head itself and the hip stem. These two components are supposed to be designed to allow near frictionless movement. It is a deterioration in the original patient’s hip joint that is the reason for getting a hip implant fitted. Patients fitted with Stryker’s FIT V40 have complained about persistent pain, joint dislocation, a lack of mobility and inflammation at the joint. In other implants of a similar type, patients have experienced metallosis. This is where the amount of movement and friction between the two artificial components causes corrosion. Corrosion breakdown products, such as metal ions, leach into the surrounding tissue, causing serious damage. This is the latest in a line of defective product issues that the company has had to confront. Stryker has already had to pay out 2 billion dollars in compensation after previous lawsuits have been filed against the company. Stryker has also had to pay the federal government nearly one hundred million dollars to resolve a criminal charge against them. The first lawsuit lost by the company was eventually settled between the corporation and over 3,400 patients who had experienced terrible pain, amongst other problems, after being fitted with ABG II and Rejuvenate hip implants. Stryker is still to face a lawsuit filed against it because of earlier LFIT V40 hip implant problems. This lawsuit is scheduled to be heard in 2019. Stryker Corporation has three main business divisions: Orthopedics, Neurotechnology and Spine and MedSurg. MedSurg is the most profitable division with 45% of sales revenue while the troubled Orthopedics division is second with 38% of sales. Most of Stryker’s recalls have all been products manufactured by its Orthopedics division. Lawsuits related to previous hip implants currently number 2,271 in the Massachusetts federal court which are still pending and a multicounty litigation in New Jersey. These are all related to injuries alleged to have occurred in patients who were fitted with earlier versions of the LFIT V40 femoral head implants. disassociation of femoral head from hip stem. 42,000 LFIT V40 implants were recalled in 2016 because of failures attributed to their design. In addition to hip implants, Stryker has also had to recall a number of its surgical products. These included barrier cloths, incontinence clean-up cloths, washcloths, metal cleaning cloths and oral care products, all of which were due to contamination issues with a type of bacteria, Burkholderia cepacia. If this wasn’t enough, one of Stryker’s subsidiaries, OtisMed, together with its CEO at the time, were found guilty in 2017 of distributing devices that had not had FDA prior approval for release. Charlie Chi, the CEO was jailed for 2 years and 80 million dollars in fines were paid by the company. In 2007, another subsidiary, Physiotherapy Associates, paid 16 million dollars to the federal government after it was alleged that it had billed federal health care services falsely. It’s hard to know exactly why big corporations distribute products that have seemingly not been tested sufficiently to ensure they are safe. People suffer as a result and it can take years to recover compensation. They are often back at square one in terms of their original needs for a safe and effective implant. Each case of defective products is unique. If you have suffered because you have been injured through any type of defective medical device, whether it is a Stryker product or not, the Keith Williams Law Group in Nashville has attorneys available to discuss your legal options. Contact the office today at (866)820-4457.